Suit Bundle Offer*: (2 Suit Sets) or (2 Suit Jackets + 2 Suit Pants) or (1Suit Set + 1 Suit Jacket + 1 Suit Pant) = $595 *Excludes Tuxedos and Vests. Not to be used with any other offer. Limited time only. 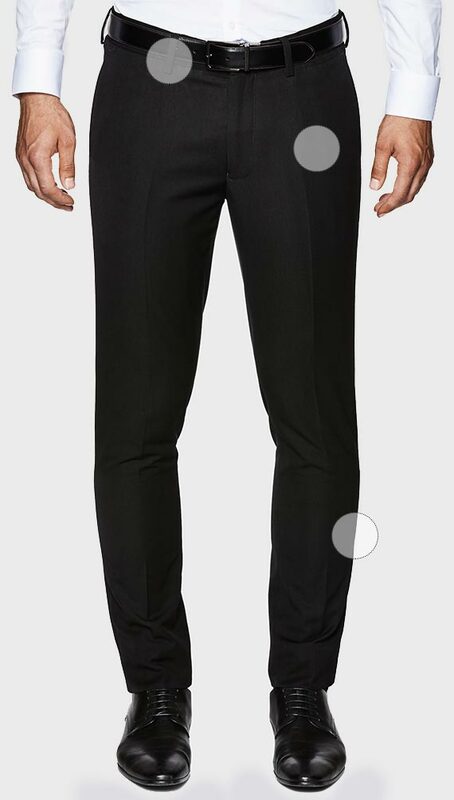 The Hartley dress pants from Politix injects debonair swagger into your formal wardrobe. Dashing in blue, the vivid colour is highlighted by a subtle dobby texture woven into the lightweight fabric. New to Politix's Bespoke collection these blue pants come in a signature slim tailored fit. Match it up with the Harford (SJ03D) jacket in New Blue Dobby and let business become pleasure. We’ve taken everything we love about classic tailoring and made it modern into our signature Slim fit. Our most versatile cut, it’ll have you best dressed for business and pleasure. Flexible like a Russian gymnast, suit separates let you select whatever size and style combos you desire. Match em up with jackets, or don’t. Suit it up your own way. 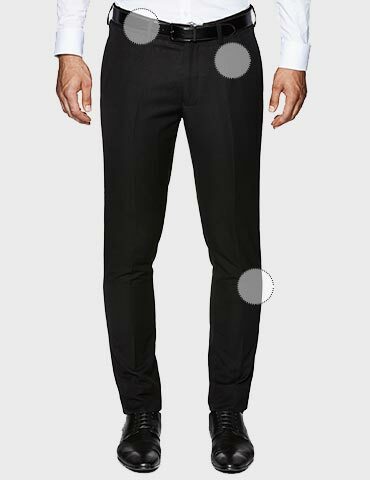 For the guy with booty or none, the mid rise action in this pant cut has both covered and looking sharp. The straight leg cut from waist to knee delivers a streamlined look that’s an ode to classic bespoke tailoring. Sharp style - it’s all in the small details. The hidden pocket compartment means that you can stash your cards, coins and other secret mens business, while keeping your strides on point. The diagonal cut delivers functional pockets that doesn’t poke out in the wrong places.